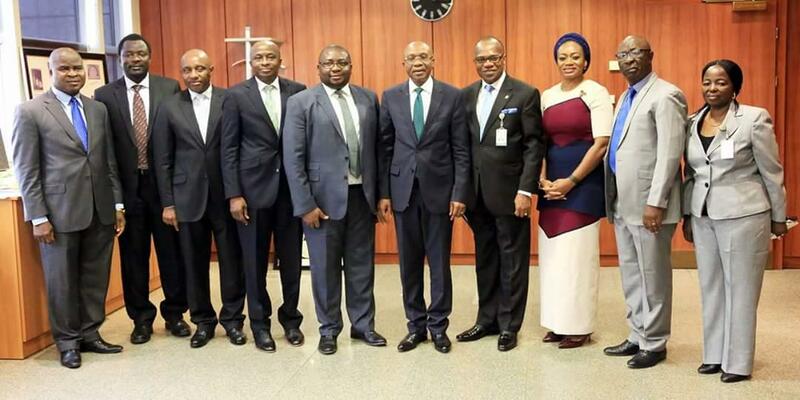 Three years after, the Central Bank of Nigeria (CBN) on Wednesday sanctioned leading telecoms giant, MTN and four commercial banks over what it described as flagrant violation of extant laws and regulation on foreign exchange. Though industry experts who spoke to our correspondent on the development faulted the apex bank for the long time it took it to come with the sanction, a total of N5.87bn was therefore slammed on the four banks in the following order of fines; Standard Chartered – N2.4 bn, Stanbic IBTC – N1.8 bn, Citibank – N1.2bn and Diamond Bank – N0.25bn. Business Hilights recalls that earlier in 2015 when the matter came up, MTN has admitted contravening laws regulating the transfer of $13.92 billion out of the country without obtaining a Certificate Of Capital Importation (CCI) before the Senate according to its Chief Executive Officer, Fedi Moolman. Besides, the Senate committee on Banks, Insurance and Other Financial Institutions, had on Thursday October 21, 2016, commenced investigation into the alleged transfer of $13.92 billion out of Nigeria by telecommunication giant MTN and some Nigerian banks between 2006 and 2016. Trouble started when the Red Chamber had on September 27, 2016, alleged that MTN in connivance with the Minister of Trade and Investment, Okechukwu Enelamah, and four commercial banks; Standard Chartered Bank, Stanbic IBTC, Diamond Bank and Citi Bank, exploited the porous Nigerian financial system to move the money out of the country without the required authorisation. During the public hearing that ensued, Moolman had twisted its original stand and admitted that the company moved funds without complying with the 24-hour order for the issuance of CCI, saying it was practically impossible to do so, Enelamah defied the committee’s directive not to leave before testifying as he instead walked out of the meeting venue before its commencement. Moolman however stated that the action to move the funds was taken without any deliberate intention to flout Nigerian laws but was rather compelled to do so because of circumstances, which he said made it impossible for it to observe the 24-hour provision in the act for issuance of CCI. At the end of the hearing which trended within the period, the Senate unanimously approved the recommendation of the investigation panel which are: (I) “Condemn the CBN for failing in its duty to bring forth those observed deficiencies of FEMMA for amendment rather than granting extensions and exemptions, which became prone to abuses. (II) “Mandate the CBN to sanction Stanbic IBTC for improper documentations in respect of capital repatriation and loan repayments amounting to $388,195,183 and $199,440,952:07, respectively. (III) “Mandate the CBN to sanction the activities of Stanbic IBTC nominees in the matter of shares transfer and splitting for the purpose of dividend repatriation, (IV), “Mandate the CBN to come up with a proposal for the amendment to FEMMA, with a view to ensuring the growth of the economy through massive foreign capital inflow and greater retention of foreign exchange. The amendment is still ongoing in the senate. However, further findings by our correspondent showed that CBN’s action on Wednesday may have settled resolution III and part of II while resolutions I, IV and V are technically hanging in the balance. None of the banks, nor MTN has reacted to the sanctions as at press time on Wednesday, August 29, 2018.